Taber will be welcoming the African Children’s Choir to the community as they continue to raise funds to help educate children in a handful of countries in Africa. The free event on April 24 at the Taber Evangelical Mennonite Church is open to all and promises to bring a great show for all of those in attendance. While the concert will no doubt bring plenty of smiles to all in attendance, the main objective of the organization is to help African children get a proper education. Following the performance by the choir, a free-will offering will be held which helps support the education programs of Music for Life. The African Children’s Choir started over 30 years ago when Ray Barnett of Vancouver was on a humanitarian trip to Uganda when he gave a boy a ride to the safety of another village. Throughout the years, the choir has performed in front of some impressive audiences including being on American Idol, performing at Live 8 with Mariah Carey and Paul McCartney and performing for Queen Elizabeth II and Ugandan President Yoweri Museveni at Commonwealth Day in London, England. Approximately 890 kids have participated since 1984 and 52,000 kids across seven African countries have been educated through the Music For Life program. When the group makes the trek to Alberta, Sipp says the children seen on stage are just a small number of African kids who need help getting an education. Other than Taber, the tour schedule for the group is fairly long. Canadian dates started on April 4 and they are on the road until June 9 with stops in Regina, Calgary and Langley, just to name a few. Another choir will head to the United States on May 31 until October 31. While this length of touring may seem extensive, Sipp explains they have cut back on dates compared to previous years. Sipp also expressed the organization’s thanks to the churches who welcome them to perform. 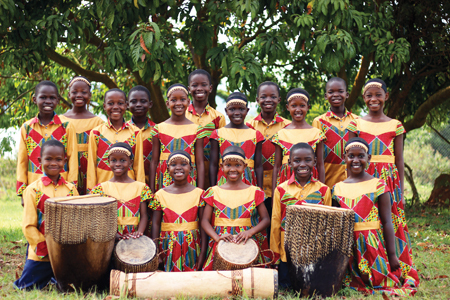 African Children’s Choir will perform April 24 at the Taber Evangelical Mennonite Church, with the event starting at 7 p.m.